Everyone in the family wants to go to Disneyland, but how much is it going to cost? Disney vacations do not come cheap, but there are a number of ways you can make it more affordable. How much you can save depends upon the answers to the following questions. • How many people will be going to Disneyland? • How old are the kids? 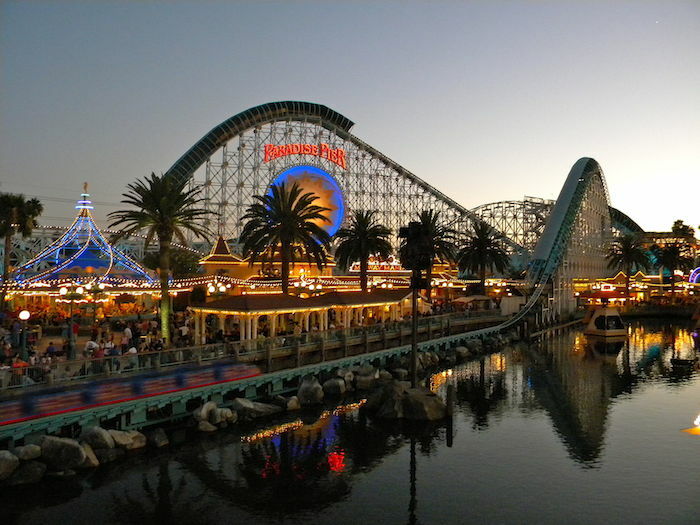 • How many days do you want to spend in the two theme parks? • What time of year do you plan to go? • How will you get to Disneyland? • Where do you want to stay and what kind of room do you desire? You have four major costs to consider when planning your vacation to Disneyland Park and/or Disney California Adventure Park. They are: the cost of tickets, accommodations, travel, and food. Disney does not cut its ticket prices during the slow season, but they do offer discounts when you buy a multi-day admission ticket. Disney multi-day tickets must be used by the last day of 2015 and once you use the first day, the remaining days must be used over the next 13 days or they expire. You will get a lower per-day rate by purchasing a three or five-day pass rather than a one-day ticket. Young children (3-9) pay less than people 10 years or older and infants (under 3) get in for free. Here is a look at the cost of tickets for a family of five that includes two adults and three children, ages 11, 6, and 2. For a one-day ticket that entitles you to admission to either Disneyland Park or Disney California Adventure Park, the cost for the family of five would be $378. The three family members over the age of 10 are charged $96, the 6 year-old child pays $90, and the 2 year-old gets in for free. If you want to upgrade to the 1-day Park Hopper ticket, that allows you to visit both parks on the same day, it will cost you an additional $54 per ticket. That will add $216 to the 4 paid tickets for a total, one-day ticket tab of $594. The price for those 10 and up is $226 per ticket ($75.34/day) and the price for the 6 year-old is $215 ($71.67) Upgrading to the Park Hopper ticket will add $39.00 to each ticket. Cost if you choose just the regular three-day ticket is $893. If you add the Park Hopper option, total cost goes up to $1,049. If you love Disney so much and want to spend five days inside the two theme parks, the five-day pass is your most cost-effective option. The family will pay a total of $1,048, or an average of $52.40 per day/per person, with the five-day ticket and if the Park Hopper option is added, the family will pay a total of $1,204, or $60.20 per day/per person. For most people who want to get the full Disney experience, one day is not enough and five days may be just a bit too much. Three days usually is just the right amount of time. The Park Hopper is best if you are going to try to squeeze both parks into one day, but if you have a three-day or longer ticket, you don’t really need it. Just spend a day or two in each park and save the extra expense. You have the best opportunity to save by choosing where you are going to stay. Disney Resort hotels are beautiful, but they are also expensive. Why not stay at a much more affordable hotel like the Anaheim Express Inn Maingate which is just a short walk from the entrance to Disneyland and California Adventure. Not only are the rates among the lowest in town, but you also will enjoy great amenities like in-room refrigerators, free breakfast, and a sparkling pool. Remember, hotel rates are at their lowest during the slow season (January, February, last 3 weeks in October, first 3 weeks in November and December). With the price of gas coming down so much, the cost of driving to Anaheim has dropped by a considerable amount. If you are about 500 miles or less from the home of Mickey Mouse, and have a few kids, driving is your most affordable option. Buying four plane tickets can easily cost you $500, but if your car gets 25 mpg, it will only take twenty gallons or about $50 to transport your gang 500 miles. No matter where you are, you have to eat. Food at Disney is a little on the high side, but there are plenty of family friendly restaurants just minutes from the Anaheim Express Inn Maingate. If you really want to cut down on your food bill, go to the local grocery store and fill your in-room refrigerator with fruit, drinks, sandwiches and snacks. Whether you have a $1,000 budget or a $5,000 budget, you can have a great family vacation at Disneyland. While it is quite possible to pay a $1,000 for each day of your family vacation at Disneyland (Tips), you can also have a great family Disney experience for about $300 per day.